It's not really a perjury trap when the witness is a pathological liar. If tRump is questioned by Mueller, tRump will lie because that is what he does. If Mueller intends to indict the president* - not a foregone conclusion - he'll go with obstruction and/or conspiracy charges. It's not paranoia if it's true. Bush was incompetent, I'll give you that one. Firing Comey would not, and has not, resulted in the Mueller witch hunt being terminated. Furthermore, despite an almost two-year-long "investigation", no evidence has been discovered or brought forth supporting claims of Trump campaign "colluding" with anyone. Of course, lamestream media refuses to report on the stuff they found out about HRC, including treason, mishandling of classified info, pay-to-play access to the federal government, several suspicious deaths, Uranium One, etc, etc. Firing Comey would not, and has not, resulted in the Mueller witch hunt investigation being terminated. Obstruction doesn't have to successful to be obstruction. Barely over a year. And so far, much, much less than the nearly 3 years average for special prosecutor investigations, and quite a bit less than the 8 years of Whitewater. The investigation is into Russian interference and there is plenty of evidence of that. Obstruction is just a gift the short-fingered vulgarian keeps on giving. Mueller is much to smart and professional to waste his time leaking about the evidence he has uncovered over possible conspiracy. Of course, lamestream media refuses to report on the stuff they found out about HRC, including treason, mishandling of classified info, pay-to-play access to the federal government, several suspicious deaths, Uranium One, etc, etc. I suppose if you wanted the media to report all those terrible crimes, it really would have been helpful if all those Republican investigations hadn't failed to find any crimes. If Mueller asks Trump any questions, all Mueller has to do is find someone that will answer those same questions differently than trump, and trump will be called a liar, regardless of whether or not trump was telling the truth. Trump cannot possibly win in that scenario, and that's why they call it a "perjury trap". Correct but that has nothing to do with this. Based on that, and solely on that, he should simply refuse to answer anything. This was nothing more than some sophomoric attempt by Giuliani to somehow rationalize it as something different. That is the best possible explanation. The worst is that he was just babbling uncontrollably. The idea that truth is subjective is total bs. There is a difference between truth which is based on facts and beliefs which are subjective. Believing something to be true does not change the facts. The whole 'perjury trap' argument is total bs (a bluff) as well. Perjury is defined as knowingly giving false information under oath. It has no bearing on other testimony except your own. 'Crazy Grandpa' Guiliani is a dotard and spouting utter bs like this on the talk shows is proving it. There is a difference between truth which is based on facts and beliefs which are subjective. Believing something to be true does not change the facts. No that isn't true. Logically and philosophically (both) provide for the concept that truth is only as good as the framework to which very, very limit constructs (arguments) are made. Without the acceptance, total unconditional acceptance (belief), the constructs do not stand. However in the real world when a car hits you you are going to be in a world of hurt regardless of whether you accepted the reality of the car nor whether you or the car had the right of way. Giuliani was true but only when one is in a philosophy classroom and with someone who actually understands the foundations of logic and philosophy (not sure he does.) It is pointless in the context in which he used it. and thats how it started, 40 years ago they did not make very reliable ones. 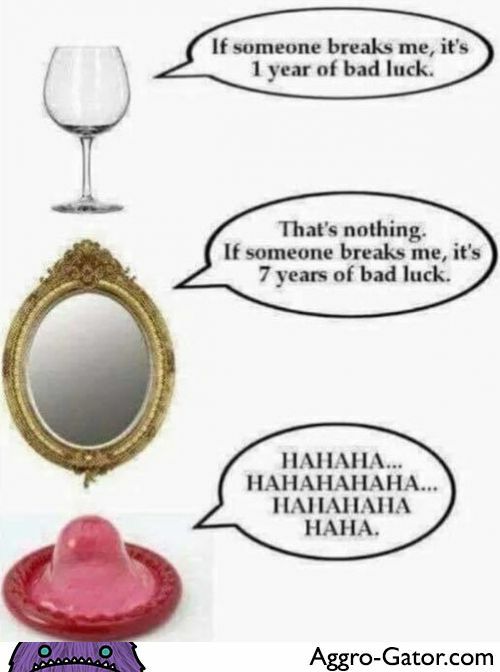 Although I would not call it bad luck. Musk is not on weed! He loves him. He loves Him Not. He Love Him. He loves Him Not . . .
What yahoo still gets their news from Yahoo? Blocked...something about cookies. Once I realized it was Yahoo, I got out quick. "The ceremony is said to be largely inspired by Trump's front-row seat at France's Bastille Day military parade in Paris. "We're going to have to try to top it, but we have a lot of planes going over and a lot of military might, and it was really a beautiful thing to see, and representatives from different wars and different uniforms," he added." Uh oh, imitating the French. Sad. I find it fitting that the 4th of July should be a French celebration. It isnt, you are thinkiing of Bastile day, the 14th july. Well - this mornings news, now that $12M turned into $92M is that it has been "postponed" until next year. Hey - he's a rich man - he could pay for his own parties! As for the inspiration? I think he gets it more from Kim Jong Un and the celebrations that 'rocket man' throws for himself. Possibly from a few other of the dictators he admires. Like Erdogan: his country doesn't suffer from Fake News. Erdogan controls the press and the internet. The Hump must have wet dreams imagining he could create the real news like that. This kind of pompous showyness is pathetic and quite demeaning. Leave it to the Frogs and Rocket Man, Putin and like minded wimps, who feel the need to show off their toys. Leave it to the Frogs and Rocket Man, Putin and like minded wimps, who feel the need to show off their toys. Sounds like children who are having an argument. Reality is complex for you isnt it Eddie? Yours certainly is, about CAGW. Wasn't that the French parade where two police motorcyclists crashed into each other head on and someone forgot the colour of the French flag when adding dye to one of the display aircraft? Perhaps they had a colour blind colour coordinator. Yet another example of the French tax Euros at rest.